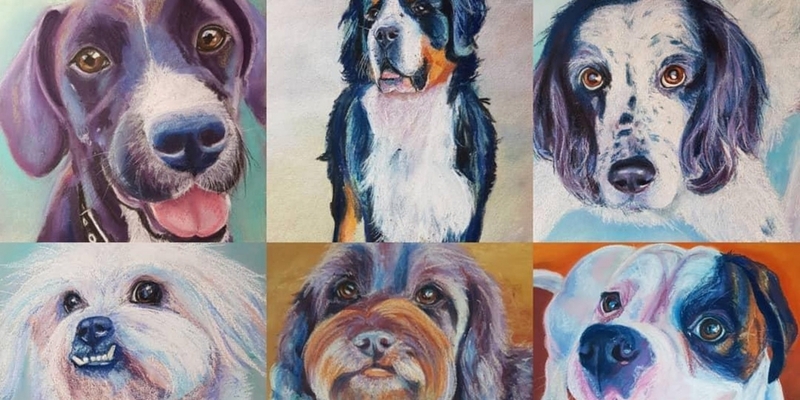 Enjoy a few relaxing hours sipping on a glass or two of wine, whilst creating a personalised pastel portrait of your pet. Beginners art class. No previous skills required. All you need to do is book in online, email us 1 or more close-up, high-quality photos of your pet for our talented artist Amber to sketch ready for you to paint ! This 3 hour class also includes 2 glasses of wine. Please BYO Snacks & Nibbles if you feel like sipping, snacking & painting.